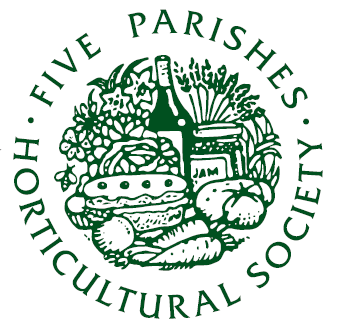 The AGM of the Five Parishes Show Committee will take place at 19:30 in Peldon Village Hall on Tuesday 2nd February 2016. All are welcome. Why not come along and hear what happened during 2015 when we had, by common opinion, one of our best shows ever. Use the chance to ask questions, make suggestions and maybe even volunteer to get involved. As ever, the 5 Parishes Organizing Committee is hard at work getting ready for the show on 2nd August, and will be posting updates and news on their new webpage on this site. 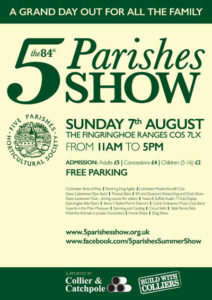 You can also follow the show on Facebook – www.facebook.com/5ParishesSummerShow. The Annual General Meeting of the Society will be held in Peldon Village Hall on Tuesday 3rd February 2015 at 7.30 pm. 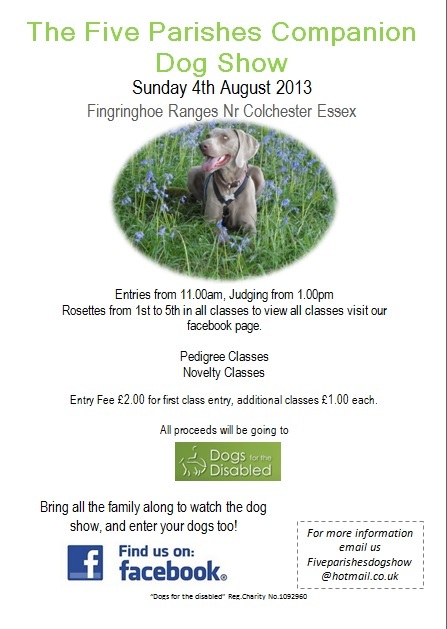 Members of the public are most welcome to attend. There will be light refreshments. 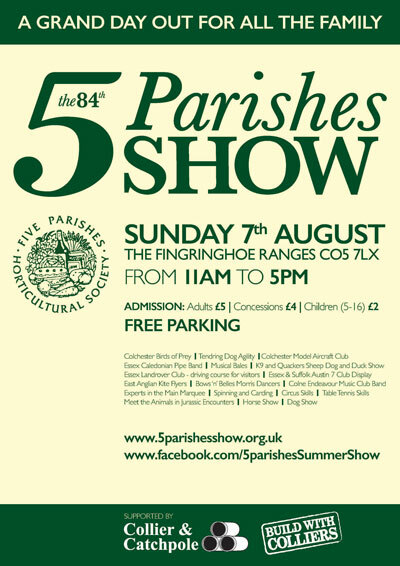 The Committee would like to attract new members to organise the 5 Parishes Show and also to find people who would just be prepared to help over the actual assembly and operation of the Show from Thursday 30th July to Sunday 2ndAugust; any time that you can spare will help us. Please come to the AGM to see what we do and to meet us all. The main programme and horse show schedule are now available for download from the Show page on this website – click the link : http://goo.gl/gQJkQ6.